Golden State Warriors: Is Mark Jackson a Coach or a Motivator? 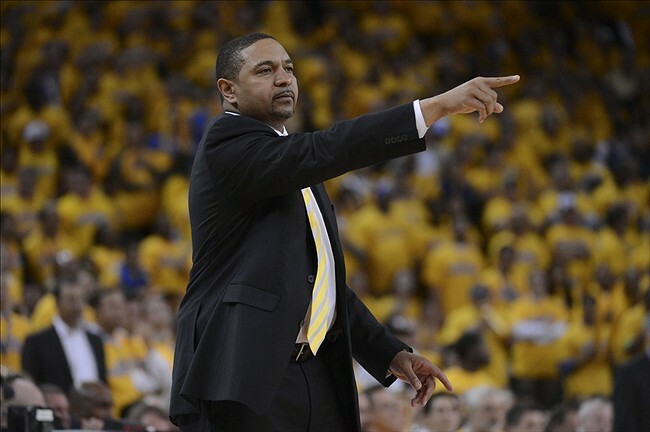 After a rough inaugural season as head coach of the Golden State Warriors in 2011-2012, Mark Jackson led the Warriors to their first playoff berth since 2007 this season and only their second trip to the playoffs in 19 seasons. He led the Warriors to a 47-35 record this season, and he came in seventh for the Coach of the Year Award. Despite his accomplishments, Jackson has been labeled as more of a motivator than a fundamental coach. Head assistant coach Mike Malone has been known to be the X’s and O’s coach of the staff, meaning he drew up the majority of the plays for the Warriors. Malone is expected to take a head coaching job with another NBA team though, such as the Sacramento Kings, so, next season, in Jackson’s first full season without Malone by his side, will he prove that he’s a true coach or that he’s just a motivator? Jackson’s motivational skills are arguably the best in the NBA, and he has certainly showcased them in his passionate speeches to his team during timeouts. Based on his background as a pastor at True Love Worship Center International in Van Nuys, CA in the offseason, Jackson surely knows how to preach. This season, Jackson did a fantastic job preaching defense to his young team. The Warriors ranked fourth in the NBA during the regular season for opponent’s field goal percentage at 43.9 percent. Also, after ranking 28th in the NBA during the 2011-2012 season with 39.2 rebounds per game, Jackson preached the need for more of an overall team effort on the boards. His preaching led to the Warriors tying for second in the NBA this season with 45 rebounds per game. Clearly, Jackson’s motivation and belief in his players has led to significant improvements in key aspects of their game plan. During the 2012-2013 season, Jackson made the Warriors a better defensive and rebounding team, which they needed to become in order to have a successful season and make the playoffs. However, it’s not clear if the Warriors improved because of his X’s and O’s coaching or because of his motivational skills. Besides their improvements on the court, another significant reason why the Warriors were successful this year was because they had a “never give up” mentality, which was instilled in them by Jackson. Jackson became the face of a team that continued to defy expectations, and their great team chemistry continued to grow because of his energy and passion. Like the San Francisco Giants, the Warriors thrived off being labeled the underdogs and loved playing as a team and unselfishly. The Warriors would not have become the group of fighters that they were without Jackson’s motivation and belief in them. 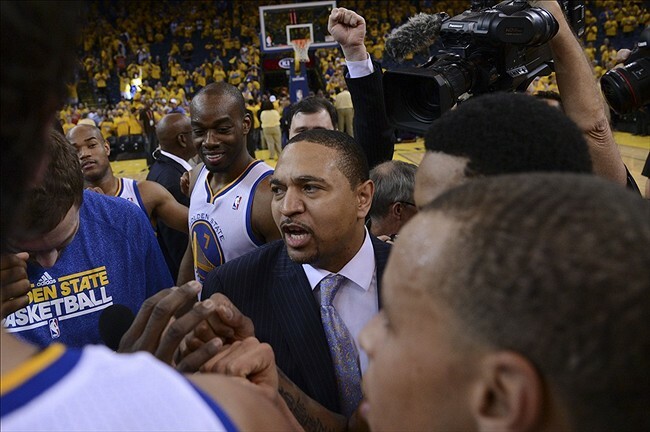 It can’t be stressed enough how Mark Jackson has truly changed the culture of the Warriors so far in his coaching tenure. In his first season as head coach, the Warriors experienced several injuries to key players, and Monta Ellis, a fan favorite, was traded rather suddenly for Andrew Bogut, who was injured at the time and out for the remainder of the season. Jackson was able to stifle many concerns going into this past season because of his belief in the system they had implemented and the culture that he had started to grow. He even claimed that trading Ellis helped changed the culture as well. This season, Jackson and the Warriors overcame many people counting them out of the playoff conversation, especially after Brandon Rush tore his ACL in his left knee in the second game of the season. Jackson continued to motivate his team by telling them they would have to find a way to win without Rush, which they did. The Warriors continued to defy expectations, but whenever they hit a rough patch during the season, they knew where to turn. Jackson always found a way to inspire and motivate his team to do better and play their style of basketball. This Warriors team seemed more confident and proud of themselves than any other Warriors team in the recent past because of Jackson’s passion alone. Despite his inspirational speeches, Jackson rarely had the clipboard during timeouts, meaning, he was rarely the one to draw up plays. Since that was mainly Malone’s job, Jackson found his place as the motivator. He admirably filled this role, but since it’s likely that Malone will no longer be a part of his coaching staff next year, Jackson will perhaps have assistant coach Pete Myers fill the role of the X’s and O’s coach. As Nate Timmons of Colorado Sports Guy has said, sometimes the hardest part about coaching is motivating a team to succeed. Even though he might not be considered as a pure, fundamental coach, Jackson is surely one of the best motivators in the league, which makes him well-suited for the Warriors. 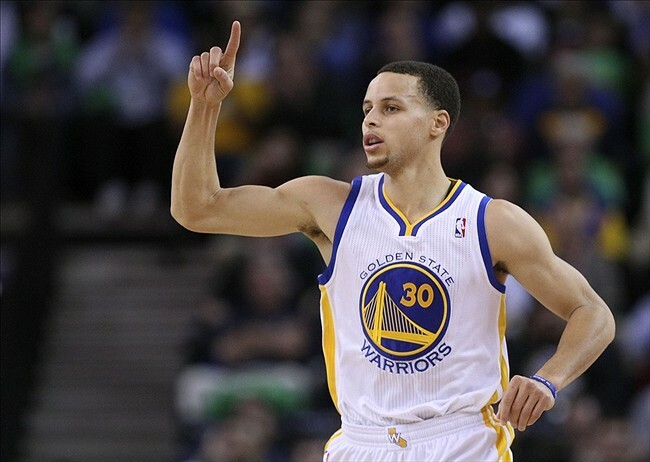 Stephen Curry had a breakout season this past year for the Golden State Warriors. In the regular season, Curry averaged 22.9 points (seventh in the NBA), 6.9 assists, four rebounds, and 1.6 steals on 45.1 percent shooting, 45.3 percent shooting from the three-point line (third in the NBA), and 90 percent free-throw shooting (second in the NBA). In the postseason, Curry averaged 23.4 points (sixth in the NBA), 8.1 assists (second in the NBA), 3.8 rebounds, and 1.7 steals on 43.4 percent shooting, 39.6 percent shooting from the three-point line, and 92.1 percent free-throw shooting. Although Curry wasn’t selected to the 2012-2013 Western Conference All-Star Team, he played at an all-star calibur level throughout the entire season. What’s even more impressive is that he was coming off of two ankle surgeries on his right ankle in the past two offseasons. The Warriors organization and its fans had no idea how many games he would be able to play after playing only 26 games and being shut down due to his right ankle injuries in the shortened 2011-2012 season (only 66 total games instead of 82 games). Curry was able to play 78 games during the regular season and 90 games total, including the postseason, which is astonishing given the amount of ankle sprains he’s had. Curry is considered a superstar and one of the best point guards in the NBA by many people, but every superstar can improve their game in some way or another. With Monta Ellis not on the team anymore, Curry knew he had to become more of a leader and become more of a vocal presence on the team this past season, which he certainly did. 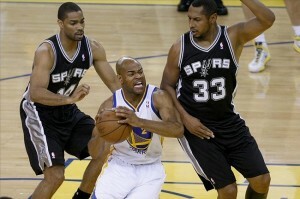 Golden State Warriors: Should They Re-Sign Jarrett Jack or Carl Landry? The Golden State Warriors have some big decisions to make this offseason. They will have to assess if they can keep both of their key free agents, Jarrett Jack and Carl Landry, and, if they can’t afford to keep both, they need to decide which player of the two they should sign. Jack and Landry have both expressed that they want to come back to the Warriors. They will each have to discuss all possible situations though with their families and agents. Jack averaged 12.9 points and 5.6 assists in 79 games this season, and he also finished third in the NBA’s Sixth Man of the Year Award voting. Jack made a little more than $5 million this season, but his level of play might have increased his value in free agency. He will certainly be a highly sought-after free agent, but he has expressed that he’d love to come back to the Warriors. However, Jack might be searching for a long-term deal, which the Warriors might not want to or be able to offer him. Jack has been quite the journeyman around the league in his career so far. In his eight NBA seasons, he has played for five different teams. Curry has said that his biggest selling point to Jack to re-sign has been that Jack has found a home with the Warriors, and he could settle in here where he already knows what his role will be. “As soon as I walked in the locker room, I looked down at my jersey and there just is a sense of pride that I have wearing it that I haven’t had as a professional,” Jack said. “Most of the time in college you go somewhere because you love it and there’s a connection there that’s deeper than basketball. Landry averaged 10.8 points and six rebounds in 81 games this season, and he finished as the Warriors’ fifth-leading scorer and third-leading rebounder. Landry made $4 million this season, and he has a player option for next season for $4 million. It’s not clear if Landry will take that player option though, because it depends on what other offers he receives from other teams. Landry, like Jack, said he’d like to come back to the Warriors, but he also wants to keep his options open as he might also be offered a longer-term deal. Warriors general manager Bob Myers has said that he is willing to go into the luxury tax in order to acquire the right players. Last offseason, Myers and the rest of the Warriors’ front office wanted to acquire Landry and re-sign Brandon Rush, and, in order to do that, the team would have to go into the luxury tax without knowing if they’d be able to get out of it. According to Myers, the ownership group, Joe Lacob and Peter Guber, told them to spend whatever they needed to if they thought Landry and Rush were important to the team. Myers will continue this philosophy when entering into discussions with Jack and Landry. “That’s a blessing to be able to work in an organization like that where it’s not budget, it’s not cost, it’s not dollars, it’s winning,” Myers said. Several players on the Warriors have also shown that they want both Landry and Jack to re-sign. Andrew Bogut has expressed the same desire. However, he realizes that it might be a difficult task to bring back both. 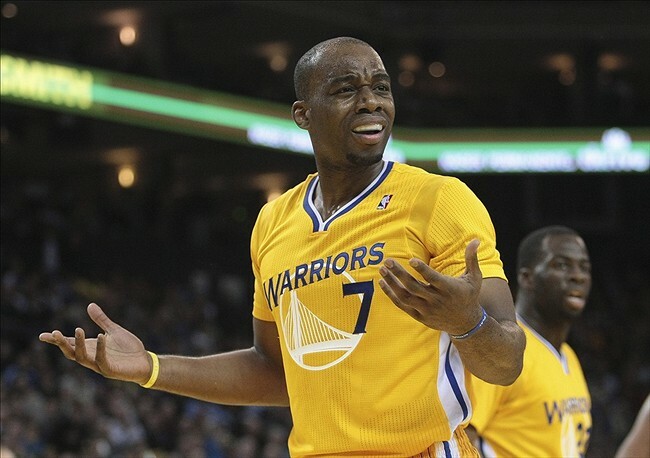 So if the Warriors decide they aren’t fiscally able to re-sign both Jack and Landry, who should they aim to re-sign? Who will be more valuable to the Warriors next season? Both players were important to the Warriors and their playoff run, so which one would be easier to replace in free agency then? Some point guards who are going to be free agents and would most likely be in the Warriors’ desired price range are Will Bynum, D.J. Augustin, Earl Watson, Jerryd Bayless (who has a player option with the Grizzlies for next season though), Jamaal Tinsley, Sebastian Telfair, etc. None of these players would adequately fill the role that Jack had, and wouldn’t make up for his scoring, passing and leadership. Some power forwards who are going to be free agents and would most likely be in the Warriors’ desired price range are Elton Brand, Andray Blatche, Jason Maxiell, Antawn Jamison, DeJuan Blair, Jermaine O’Neal, J.J. Hickson, etc. Obviously, it’s not guaranteed that the Warriors could persuade any of these players to win, but their playoff run could certainly help attract some of them. This group of power forward free agents seems stronger than the group of available point guards. Because of this, if the Warriors could only afford to re-sign either Jack or Landry, it seems as if the Warriors should aim to re-sign Jack. Of course, the Warriors have the option of acquiring a point guard or power forward via trade, but regardless of the potential trades, Jack had a strong leadership role and presence on this team. Although it would be ideal to bring Landry back too, it seems as if there are better options to replace Landry, which makes Jack more valuable to the Warriors next season. Ryan Vogelsong came into last night’s game with a 1-4 record and a 8.06 ERA, which was the highest ERA among all qualified starting pitchers in the National League. The good news for the San Francisco Giants is that Vogelsong looked spectacular in his start last night against the Nationals. The bad news is that Vogelsong was hit by a pitch mid-swing in the fifth inning. The worse news is that he dislocated a joint in his pinky on his pitching hand and has fractures above and below the knuckle. Vogelsong will have surgery today at Stanford Hospital and will be out for at least 4-6 weeks. Pins will likely be inserted into his pinky during surgery to assist the healing process. Although the recovery is listed at 4-6 weeks, it will most likely take longer than that though for him to return to full strength. Vogelsong won’t be able to pitch until he’s fully healed and then will have to build up his arm strength again. Vogelsong was having his best start of the season before his unfortunate injury occurred. He pitched five innings on 79 pitches (49 strikes), allowed three hits, struck out two, and walked one. He faced 19 batters and induced seven groundouts and four flyouts. 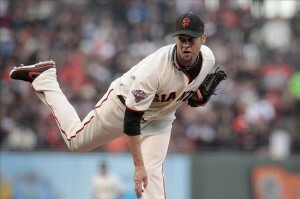 With this quality performance, Vogelsong got the win tonight and improved his record to 2-4. His command of his fastball and changeup were great, he looked confident again, he gained count leverage several times, and he was able to hit the corners of the strike zone accurately, which is when he’s at his best. Vogelsong also had two straight 1-2-3 innings in the first and second, and he showed he was able to get outs when he needed them. Angel Pagan helped him out in the second inning with a fantastic catch on Adam LaRoche’s deep flyout to center field. In the third inning, Zach Duke and Denard Span hit back-to-back singles, and Vogelsong was able to get out of it by getting Steve Lombardozzi to fly out. Vogelsong forced LaRoche to hit into a double play in the fourth inning to get out of a jam, and he forced Span to ground out after walking Craig Stammen. Vogelsong has shown issues maintaining his consistency when pitching through an opponent’s batting order for a second time. However, after facing the Nationals’ lineup a second time, Vogelsong still had great command of his fastball and changeup and seemed to make the right adjustments in order to get outs. 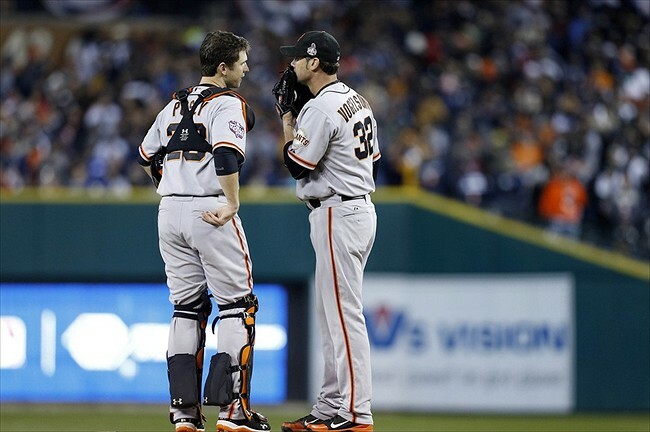 For example, Vogelsong struck out Bryce Harper in the first inning and got him to ground out in the fourth inning. It appeared as if he had resolved any mechanical issues that had been bothering him the past couple weeks. It also helped that Vogelsong received six runs of support in his five innings pitched. The Giants have been very lucky that their starting pitching staff hasn’t suffered any serious injuries in the past couple years. The starting rotation has struggled so far this season but not because of any serious injuries. With Vogelsong expected to be out about six weeks, the other starting pitchers have to step up now more than ever. The Giants will most likely make a roster decision soon as to who will replace Vogelsong’s spot in the lineup until he’s fully recovered. So what options do the Giants have? 1. Activate LHP Mike Kickham from Fresno. Unfortunately, the Giants don’t have much depth at the starting pitcher position in their minor league system. Kickham currently has a 4.72 ERA, but he has looked much better this past month. In his last four starts, the left-hander has a 2-1 record, a 1.80 ERA, 25 strikeouts, and six walks. Kickham is still young, but he’s the most viable option out of Fresno for the Giants. 2. 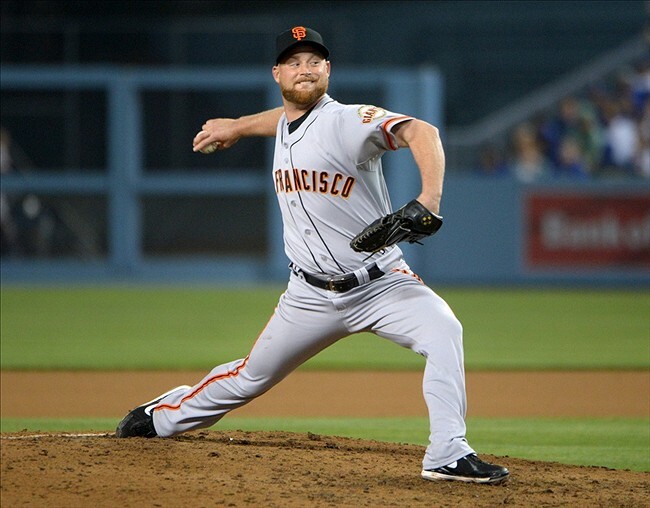 Move Chad Gaudin into a starting role. Gaudin has been used as the long reliever so far this season, and he’s done well. He has a 2.10 ERA this season, and his longest outing was when he threw 72 pitches in relief of Vogelsong on May 15th. Gaudin is a versatile veteran who has starting, closing, and relief experience and could easily step into the role of a starting pitcher if needed to. If Gaudin moved into a starting role, the Giants could potentially call up a pitcher like Heath Hembree from Fresno to fill Gaudin’s previous role. Hembree has had a fantastic season so far with the Grizzlies and was expected to be called up at some point in the season because of his stellar pitching. The right-hander has a 2.70 ERA, 21 strikeouts, and five walks in 19 games this season. The Giants could also choose to not make an additional roster move after moving Gaudin to a starting role, because they are already carrying 13 pitchers since they recalled Jean Machi from Fresno on Saturday. It’s just a matter of time until the Giants make a move. They have an off-day on Thursday, so the Giants could potentially just skip Vogelsong’s next start while keeping the rest of the starters on their normal rest schedule. However, it’s not clear if the Giants would want to disrupt the normal rest pattern for the other starters in order to buy themselves a couple extra days. As Henry Schulman of the San Francisco Chronicle said, Vogelsong has come back from having Tommy John surgery, pitching overseas in Japan, and being cut from several other major league clubs. He’s a fighter and will surely come back from this injury stronger than ever. It’s both ironic and sad that Vogelsong was having his best start of the season when he suffered such a horrible injury. Baseball can be rough sometimes. However, Vogelsong is one of the hardest workers on the team, and the Giants will try their best to win games without him. Stephen Curry was expected to play a lot of minutes this season, especially with his ankle problems mostly behind him and Monta Ellis no longer on the Warriors. In fact, Curry averaged a career-high 38.2 minutes per game in 78 games during the regular season, which was the seventh most minutes per game in the NBA. Curry is the most the important player on this Warriors team, but given the fact that he had two ankle surgeries in the past two offseasons going into the 2012-2013 season, Mark Jackson probably should have monitored his minutes a little more in the regular season. The Warriors have a fairly strong bench, which includes Jarrett Jack, Carl Landry, Draymond Green, and Festus Ezeli. However, there were several times during the course of the regular season where the second unit would come in and struggle offensively. Because of this, Curry had to come back into the game earlier than expected in order to provide an offensive lift. Because of this, Curry had to play a lot of minutes this season, even sometimes in games where he shouldn’t have had to play so many. Curry was relied upon too much for his offense in the regular season, and Mark Jackson didn’t seem to manage his minutes in preparation for the postseason. It appeared as if the abundance of minutes that Curry played during the regular season caught up with him in the playoffs. With David Lee out, he was expected to take on an even bigger load of minutes as well. He clearly seemed exhausted at times during the Spurs series. It’s also possible that his exhaustion was the reason why he tweaked his ankle again. His body was tired and had been beaten up throughout the playoffs, which could’ve caused his body to be more susceptible to injury, or, in this case, re-injury. Regardless of if that was the sole reason why he hurt his ankle again, Curry ran out of gas during the Spurs series due to his heavy load of minutes in 94 games this season. In the Warriors’ series against the Spurs, Curry seemed a step slow at certain times. He wasn’t quite 100 percent after spraining his left ankle in Game 2 of the Denver series, but his slow pace seemed more like fatigue than the result of a bum ankle. In the postseason, Curry averaged 41.4 minutes per game in 12 games, which was the sixth most minutes per game in the NBA. In addition, he played a total of 497 minutes in 12 games, which, as of today, was the most minutes in the NBA in the postseason. After playing every single minute (except for four seconds) of the Warriors’ Game 1 double overtime loss to the Spurs, Curry looked exhausted at several points during the rest of the series. He tweaked his left ankle again in Game 3, which the Warriors eventually lost. He played through the pain in Game 3 and had a bad limp the rest of the game. It didn’t seem like Curry would be able to play in Game 4, but he took a pain injection shot so he could play. He didn’t look as quick, but he was able to help the Warriors get the win. In Game 5, Curry’s ankle didn’t seem to be bothering him as much, but he looked flat-out exhausted. “Curry missed several shots coming off the pick, and whether he couldn’t get the lift off the ankle, didn’t have the energy to execute, or was rushed by the way the Spurs were scrambling against and over screens, it worked,” NBA writer Matt Moore said of Curry’s performance in Game 5. During the course of the season, Curry was called upon to make plays and play extra minutes when the Warriors struggled offensively. Jackson might have relied on him too much though, because Curry’s heavy load of minutes throughout the regular season and the playoffs potentially caused him to re-injure himself, and it caused him to perform poorly at times. He was simply exhausted. 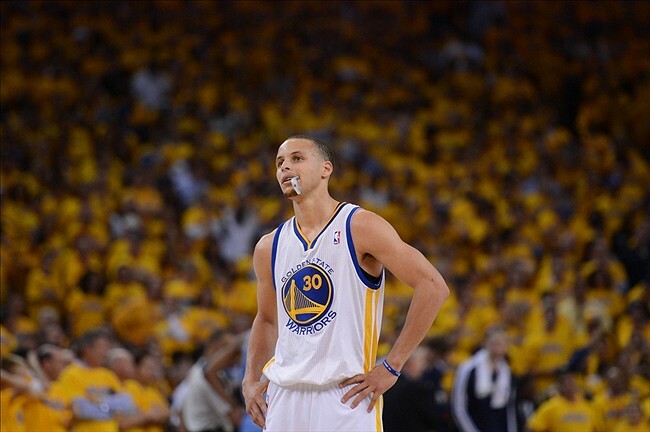 Curry is arguably a superstar in the NBA, so he will be relied upon even more in the future. Hopefully for the Warriors, Jackson will find a more efficient way to manage Curry’s minutes next season. Stephen Curry and Klay Thompson have had some spectacular performances for the Warriors so far in the playoffs. 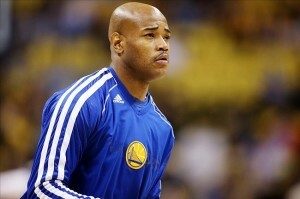 Jarrett Jack and Harrison Barnes have also had significant contributions. 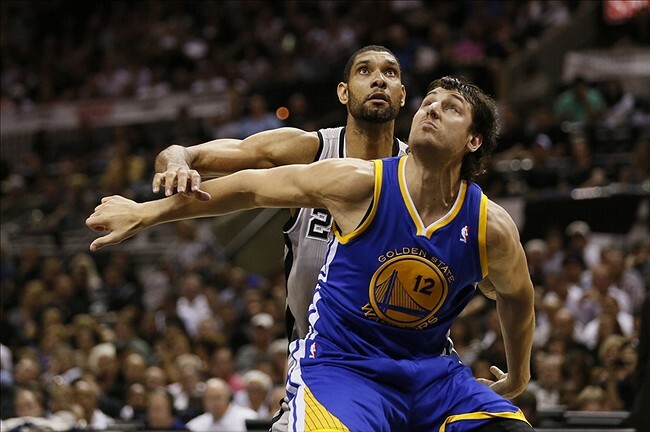 However, Andrew Bogut has been one of the most important players for the Warriors in the playoffs. He isn’t one of the Warriors’ leading scorers, but his defense, his physicality, and his energy are significant reasons why the Warriors have gotten as far as they have in the playoffs. SFG: San Francisco Giants: What Should Be Done with Ryan Vogelsong? This season, Ryan Vogelsong has a 7.78 ERA, which is the highest ERA among all qualified starting pitchers in the National League. Vogelsong’s 7.78 ERA is shocking enough, but it’s even more shocking coming from a pitcher who has been so solid the past couple seasons.